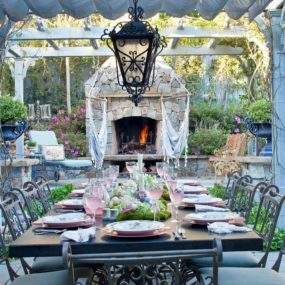 For those of us with small outdoor spaces, it can be hard figuring out exactly how to decorate and have the space become an area that is well used throughout the entire year. In retrospect, the small area can make it seem as if the options are a little bit limited when it comes to decorating. 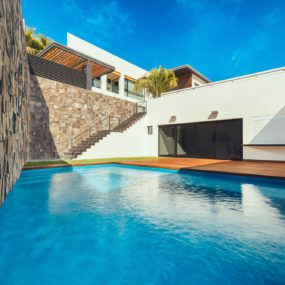 But, the truth is with a little bit of planning and a few of these tricks you will be on your way to having the ultimate outdoor space regardless of the size. 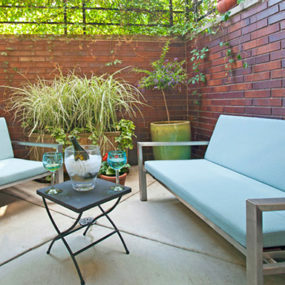 Here are a few of our favorite ideas for small outdoor spaces. A custom bench works great when you want to create a custom space that allows you to host guests while still being chic and valuable to the space. 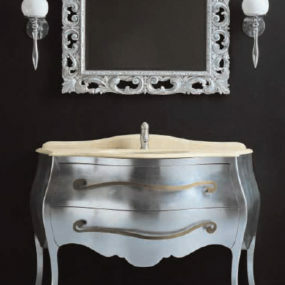 It also goes well with multiple different decor options including wood or even marble. Built-in furniture is always great because they are customized to your liking and the size of your space. We recommend measuring the space and getting a built-in bench. 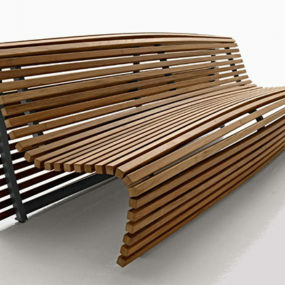 A bench is always an excellent idea for the outdoor space. Combine your built-in bench with a table for the perfect outdoor seating area. 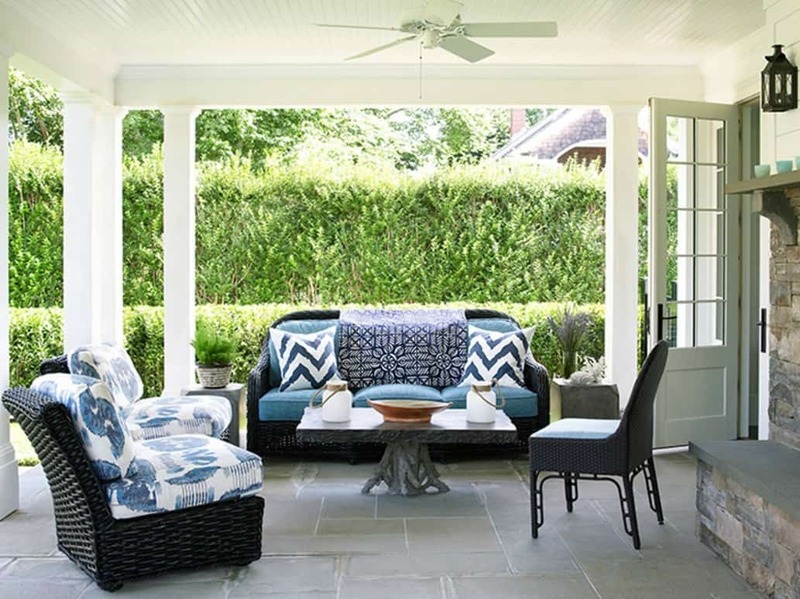 Match your outdoor rug with your chair cushions for a well put together look that is cohesive. 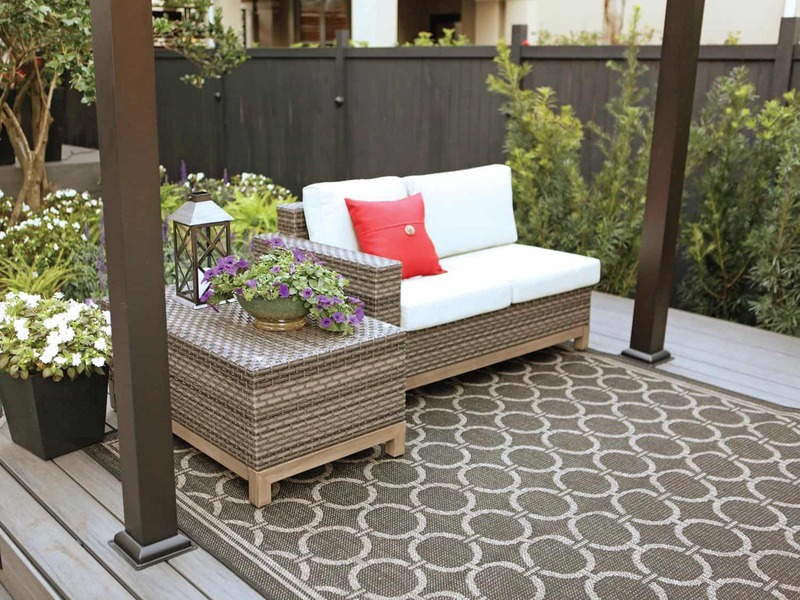 Consider having your outdoor rug match your indoor decor as well, this will create a mix and match effect for your indoor and outdoor living room. One of the many things we struggle when decorating the outdoor space is with color. You don’t want to add too much color as you are already working with the natural elements in the space, but you also want to add enough color to brighten up your décor. The truth is outdoor rugs add color and comfort to the space all at once. 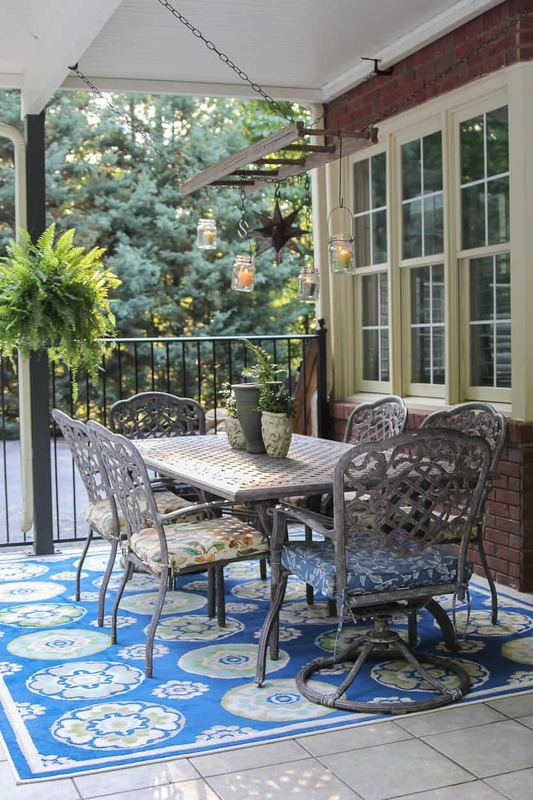 Get an outdoor rug that features a bold color or pattern. Doing so will add color as well as texture all in one simple step. Just remember the rug you use outdoors should be an outdoor rug. 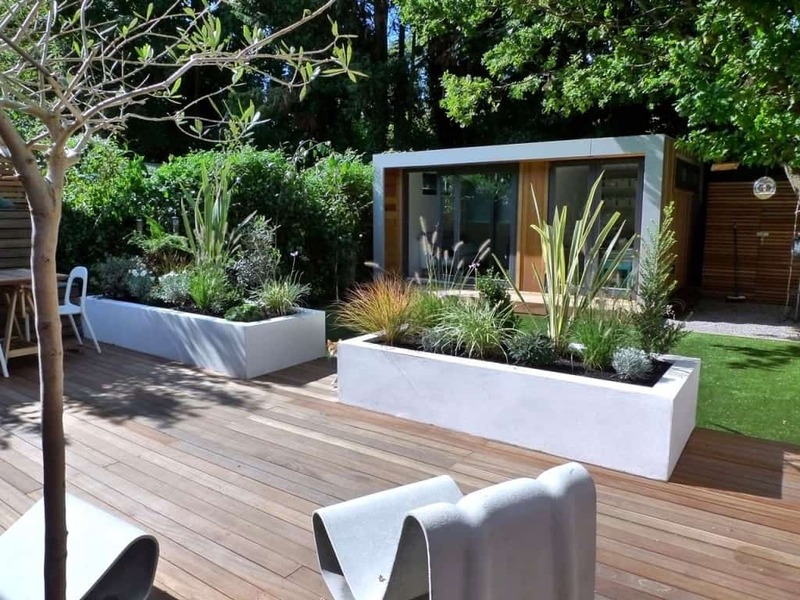 If your patio is a bit larger than you may want to have large plant blocks. This adds an extra flair to the space while still being compact enough that it doesn’t overwhelm your small outdoor space. It also adds color which is always nice when you are decorating. If you have a balcony you might be inclined to place multiple different plant pots all around your balcony space. Although, this can be useful as it allows you to rearrange your garden as many times as you would like. It can sometimes become cluttered which is exactly what you do not want. 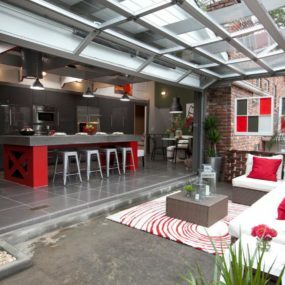 Instead, you want to create a space that’s airy while still having the garden you like. Choose interesting shaped plants or plant bases as this will create an intricate space while not taking up too much space. Your tiny garden is still beautiful regardless of the size. If you want to give the space an upgraded look use steel hanging rods instead of wood. The steel aspect combined with outdoor drapes will give the space an elegant touch. You can also add lighting fixtures to create a beautiful space that is classy and elegant while still being modern. Although this is not a popular option, it is one of the best options to elevate your outdoor space regardless of how big or small it is. Outdoor drapes provide a little touch of privacy as well as shade while creating an outdoor living room feel. If you do not have anywhere to hang your drapes from it may be time to make a few changes. Purchase a simple wood frame that allows you to hang your drapes easily and quickly. Do not limit yourself to one pattern alone as long as you remain in the same color scheme you are allowed to use multiple different patterns. In fact, consider using different shades of the same color for your pattern options. 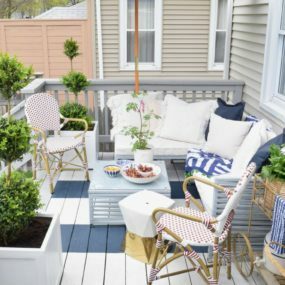 Instead, of creating a division between your actual living room and your balcony or outdoor space, consider combining the two and making them appear similar. Take similar throw, pillows and throw blankets that you would use indoors and use them outdoors. This will actually make the space appear larger and cohesive. Add pattern and bold colors this way as well. 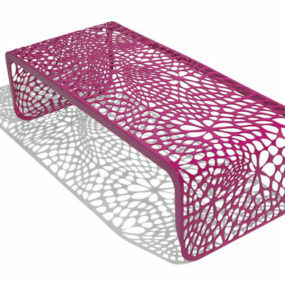 Having a multifunctional furniture such as a storage bench allows you to have less furniture in the space. Meanwhile still having enough storage to store your much-needed items. You may need more than one to complete the look and have enough storage. When deciding what furniture to use outdoors select multifunctional furniture as it will allow you to have fewer pieces but more seating area. If you enjoy hosting outdoors, but your space may seem too small to do so this is the way to go. Choose a seating bench that has storage for storing items out the way or have a center table that doubles as a seating area. The less furniture you have, the more multifunctional the ones you do have should be. 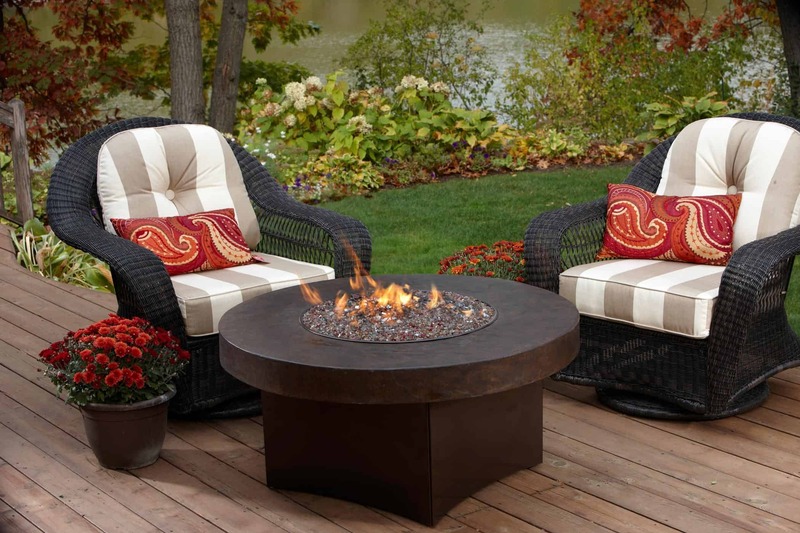 Fire pit tables are extremely convenient to have in the outdoor space because of all the things you can do with them. You can use them as fire pits to roast marshmallows or you can use them for a seating area or even as a foot rest. We love fire pits here at Trendier but we love fire pit tables even more. You get a double duty table that is also multifunctional. You can have a fire pit going any time of the day and when it is off you can use the surroundings of the table to place your drinks or food on. There is something very rustic and warm about a fire pit table that is hard to imitate with other items. 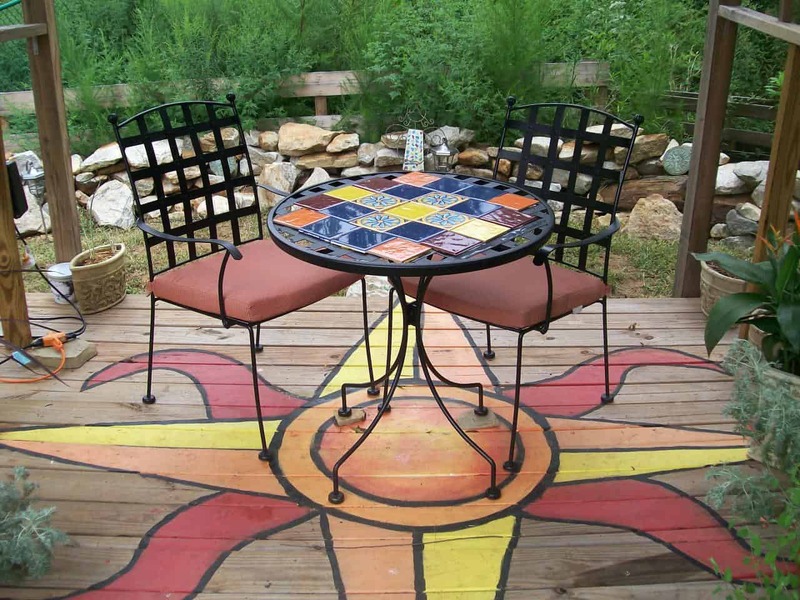 Paint a pattern on your patio floor for an interesting twist that will be unexpected. Use colors that work well with any decor you may place in the space. Bold and bright colors add boldness to the area without the need of using other furniture items. Painting your small space may be one of the last things you may consider doing. However, in all reality painting, the space could be exactly what it needs. Pops of color are great in small spaces because they create a diversion on the size of the space and bring your eyes directly to the color. 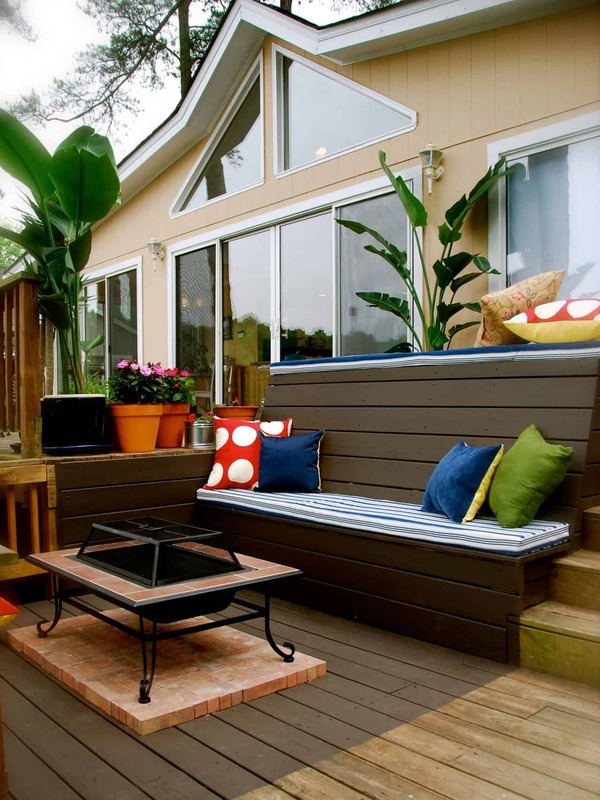 If you’re working with a patio or balcony paint the wood a bold color such as red, yellow, blue, or orange. These colors are known to stand out and create the ultimate appeal. 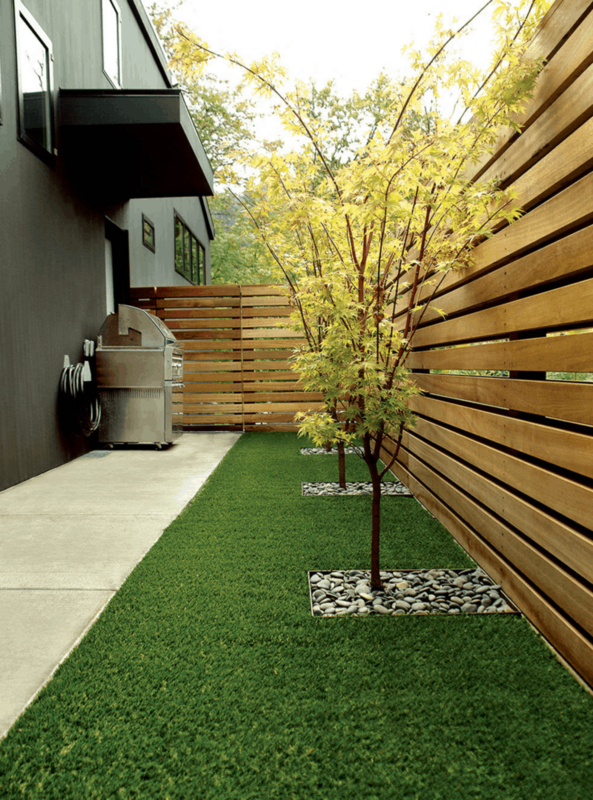 Combine your faux grass with fresh elements to give it the natural feel you want. You can even plant fresh trees to make the space feel as if there was fresh grass. Even if the grass does not grow in the space you want it to grow fake it until you make it. 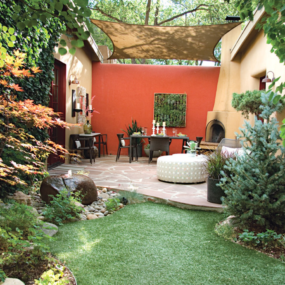 We are a huge fan of faux grass because of its easy maintenance. With faux grass, once it is installed, you do not have to do anything else to it besides keep it clean. It can be placed even on a balcony or patio. To keep a natural feel lay it down on the entire space instead of a selected area. A small space does not define the style or décor you can have in it. Instead, it is the perfect excuse to have furniture and decorative pieces that enhance the space not just stay in the space. 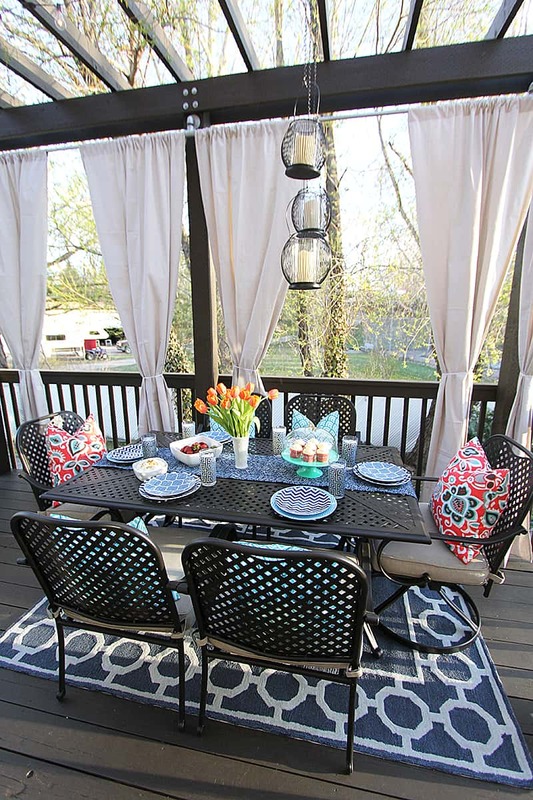 Let us know how you style your small outdoor space in the comments below.